The Policy and Innovation Group has developed educational materials as part of ETIP Ocean. With these materials you can learn about the key benefits and challenges associated with ocean energy, they comprise of an educational website, interactive game and downloadable lesson plan for educators. These materials have been developed with the key aim of education and increased awareness of the ocean energy sector to wider civil-society. Read more. 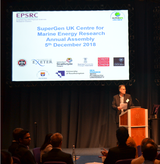 On the 29th of October, the final ETIP Ocean workshop was held in Edinburgh. This workshop was built upon the results of the ETIP Ocean webinars that discussed different technological, economic and environmental challenges in the ocean energy sector. The results of the workshop will feed in to the ETIP Ocean Integrated Strategy that will indicate the industry's needs for the upcoming years. MARINET2 has opened the third call to apply for free-of-charge access to testing facilities. For the application procedure and other information, go to the MARINET2 website. This is the third call of a total of five periods of testing facility accessibility throughout the MARINET2 lifetime. A press release on the announcement of the OES-IEA 2017 annual report publishing. 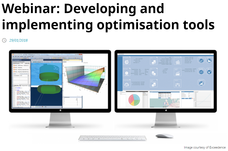 An article on the optimisation tools webinar of ETIP Ocean. An article on the general assembly of EnFAIT. An article presenting EnFAIT video. The North Sea Solutions for Innovation in Corrosion for Energy (NeSSIE) was launched.